‘Theeb’ and its commonest standard Arabic equivalents meaning “wolf” is the titular title of Naji Abu Nowar’s 2014 adventure-thriller, which plays out as a story of brotherhood and loss as a young Bedouin boy must live up to his name. 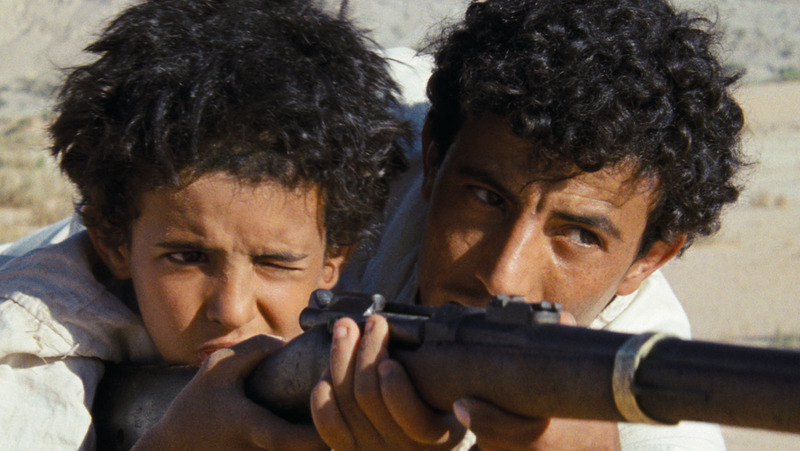 The debut feature of British-Jordanian filmmaker, Nowar’s Theeb constantly begs the question who is the wolf and who is the lamb in a culture where religion and honouring thy brother determine your place within society. Filmed in a similar locale to Lawrence of Arabia (Lean, 1962), Theeb is set in a time at which the 400 year long reign of the Ottoman Empire came to an end, something that is seen as fundamental in forming the Middle East as we know it today. As savage Ottoman mercenaries initially appear the more wolf like as they mercilessly hunt down any and all men en route route to Mecca, how can a religious pilgrimage become so subverted? Theeb plays out on one vast predatory hunting ground, in which all the combatants seem to be largely unreceptive to the tensions brewing outside of this microcosm. It is during this tentative period which is thought to be some point during WW1 that the film is carefully placed, as all are caught up in massive social-political-technological upheavals. Throughout the film’s 100 mins, there is a significant shift between the film’s two major plotlines. 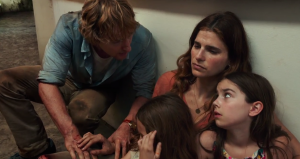 However the latter half of the film is a much more compelling tale of survival against all odds, dissecting ideas about trust as the human element. As men lay slain as a result of the war raging against the obstruction that a newly built railway – or the ‘iron donkey trail’ – poses to traditional ways of life that have endured for centuries, Theeb really takes consideration of all of its plot threads. With this in mind however, do not discount the earlier portion of the film. The discussion of the train within Theeb is a welcomed plot thread in a largely quiet film as it becomes clear that ‘the train ruined everything…. as brother began to kill brother…’, the idea of misplaced trust takes centre stage as blood quickly permeates the screen, bringing with it the flies as there seems to be an inevitability towards death in Abu Nowar’s Theeb. Perhaps it is in these moments that Theeb presents its most startling, truest representations of life and death to which are long burned into memory after the film has finished. Theeb enables audiences to see life from an entirely different perspective, as perilous journeys have to be made by those wholly undeserving of the burden. In Theeb, this weight is placed on the shoulders of a pre-pubescent boy the who is all to soon separated from his brother Hussein (Al-Sweilhiyeen), to whom he looks up as a father. And in its wake Theeb must place his trust in the very same men who killed his brother. Theeb’s setting, which explores the desert’s vast towering natural structures, transforms the film into a sort of modern-day Western. Like a lamb to the slaughter, Theeb spends much of the film trying to find his way home. Although in many instances Theeb could be called mundane and unmoving, this also seems to be one of its beauties – its ability to linger on moments of quiet, made even more beautiful through the eyes of a young boy who remains so uncorrupted. Similarly, two rather dynamic scenes involving a water well also pump much needed action into a largely still film. In many ways Theeb points to the direction of its ending largely from the onset, as characters make grand statements such as ‘the strong eat the weak’, but only in the film’s ending do you realise this is more of a universal life lesson that audiences of all ages must recognise. Theeb possesses some immaculate staging of cinematography as the harshness of the desert landscape is captured exquisitely. In particular, Theeb possesses a beautiful sequence involving the starry night sky that is not to be missed. Perhaps one of the hardest things to do in any film is to have a child actor in a leading role but Jacir Eid-Al-Hwietat as Theeb steals the show as the all-too-soon orphaned boy child whose childlike innocence become his one redeeming feature. Then, in an instant the film ends, and you cannot help but dissect everything that Theeb is. A story of coming-of-age tale of perseverance, death and life all spearheaded by a boy who appears to be no more than 10 years of age.